"Placentol" Balsam is a unique Russian cosmetic preparation. No any analogous medications or cosmetic preparations have been created so far; Placentol boasts unique composition and excellent physiological compatibility with skin cells. "Placentol" Balsam is a natural multi-component multi-functional system of biologically active substances, produced on a basis of the unique Russian technology for processing of placenta, developed by the research centre of "Medical Scientific and Production Complex (MSPC) Biotechindustry" under the direction of Yu. I. Lubimov, Ph.D., laureate of the State Prize of the, author of more than 400 scientific works and inventions. "Placentol" Balsam has a distinct rejuvenating, immunostabilizing, antioxidative, wound-healing, antiphlogistic, fungicidal, anti-edematous, cancer-protective, radio-protective, anti-stress, tonic and eroticizing effect. It does not produce addiction or abstinence syndrome. "Placentol" Balsam does not contain active hormones or any other ingredients prohibited by EEC and complies with the Cosmetics Directive в„– 76/768. "Placentol" Balsam is a biologically clean and ecologically safe sterile medication. Certified by Standardization Committee of. Allowed for use by Ministry of Health of. Laboratory and clinical tests of the composition, safety and effectiveness of the balsam were performed by Medical Cosmetology Department of CNICVI of the Ministry of Health, Russian Federation; Institute of Plastic Surgery and Cosmetology of the Ministry of Health, Russian Federation; GNIII of the Military Medicine, Belozersky Institute of Physical and Chemical Biology, MSU; Institute of the Veterinary Sanity, Hygiene and Ecology; GNC Institute of Biophysics; Hematological Science Centre, RAMS; State Institute of Vitamins; Institute of Physical and Chemical Medicine of the Ministry of Health, Russian Federation; Central Laboratory for Quality Control of Medications and Medical Measurements of the President's Administrative Department, Russian Federation and other institutions. Main clinical tests (skin elasticity, velocity of wrinkle smoothing, lifting-effect, profile, hydratance, auto-flora, skin pH-metering) were performed with volunteers were performed at the Institute of Medical Technology Research and Vreden Russian Institute of Traumatic Surgery and Orthopedy of the Ministry of Health, Russian Federation. 20 amino acids (including essential amino acids), low molecular weight peptides, proteins, nucleic acids, cytokines (interleukins 1? and 6, ?- and ?-interferons, growth factors - epidermal growth factor (EGF), fibroblast growth factor (FGF), polysaccharides, hialuronic acid, chondroitin sulphate, lipids, lecithin, co-enzyme Q10, alpha-fetoprotein, polyunsaturated fatty acids, balanced complex of vitamins (Рђ, D, Р•, РЎ, Р’1, Р’2,, Р’4, Р’5, Р’6, Р’12, PP, Рќ), macro- and microelements (magnesium, silicon, potassium, sodium, calcium, iron, manganese, zinc, copper, selenium). It is necessary to test the skin sensitivity before using Placentol balsam. To do this, please apply a small quantity of Placentol to the skin in the area of wrist or elbow and rub the balsam in. Wait for 10 minutes. If no hyperemia or itch is observed, you can use undiluted Placentol balsam according to the Application Recommendations. In case if skin reddening is observed, you should ditute balsam with water before use. Choose the dilution proportion which suits your skin most (form 1:1 to 1:10). Active biopiling with Placentol balsam is an intensive procedure for skin of every type, except thin and sensitive skin. It cleans skin profoundly, removed dead cell of epidermis activates formation of collagen, elastin and hialuronic acid in the skin cells, stimulates immune processes, restores skin turgor and rejuvenates the skin. for biopilling use undiluted Placentol balsam. clear face and body skin with one of the "Placentol" cleansing preparations (washing foam, lotion-balsam or gel-douche). apply Placentol balsam with a sponge to the clean face and body skin, avoiding areas around the eyes and lips, as well as the areas of sensitive skin. 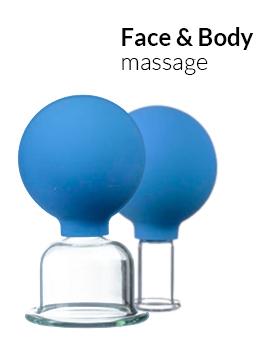 massage skin with slight round movements along the massage lines for 5-15 minutes. the parts of keratinized skin, which come out as a result of biopilling, should not be washed away with water, but shaken off with a dry cotton tampon or brush. having finished the procedure, wipe your skin with ice or with a cloth soaked into cold water to intensify the blood flow. apply an appropriate "Placentol" feeding cream to your skin. Choose the type of the cream which suits your skin type. Leave the cream soak into the skin for 20-25 minutes, then remove the excess cream with a paper napkin. For all skin types. Tones up and rejuvenates the skin, activates metabolism, stimulates blood circulation, provides intense feeding and moistening. For all skin types. Effectively moistens, cleans and tones up the skin, normalizes the activity of sebaceous glands, as well as water-lipid and acid-base balance. Mask-biopilling for face, neck and the area of decollete. Intensive mask for profound gentle cleansing of skin of all types, except thin and sensitive skin. Assists in flaking-off the dead epidermis cells, stimulates growth of new cells, restores turgor and rejuvenates the skin. It's an intensive procedure for problem skin areas. Activates metabolism in fat cells of the skin, helps liquidation of stagnant processes, stimulates blood and lymph circulation in skin tissue. after the massage apply the mixture you prepared at the first step, vigorously rub it into the skin and wrap the problem skin area with saran film. Wait for 1 hour. We recommend making a course of 15 procedures at spring and autumn, every three days, and then - supporting course, one procedure a month. For all skin types. Lotion-balsam intensively feeds hair and activates hair growth, strengthens hair bulbs, tones up the head skin and normalizes metabolic processes. For all hair types. Recovering mask strengthens and feeds hair, promotes its growth, recovers the structure of hair damaged by dyeing or chemical curling, strengthens hair bulbs, tones up the head skin, normalizes metabolic processes, prevents early hair shedding, gives hair brilliance and healthy look. hair rehabilitation after chemical curling, dyeing, extension, etc. SCIENTIFIC TESTING OF EFFECTIVENESS AND SAFETY OF BALSAMS "PLACENTOL" AND "PLACENTOL 100%", MANUFACTURED BY "MSPC BIOTECHINDUSTRY"
The skin elasticity was tested in a group of 10 people aged from 40 to 60 by thermovision assay. The study medication (2ml) was applied once and then rubbed into the skin in the area of decollete to complete absorption. The above procedure was repeated daily for 7 days. Estimation of skin elasticity was based on the level of blood microcirculation at the studied skin area. We have shown veracious difference of 6% in figures of microcirculation (heat radiation) before applying the medication between the studied skin area and the area taken as a control. Estimation of microcirculation by thermovision assay showed increase of the blood circulation level by 6% after 7 days of applying the study medicine. In the group of 6 volunteers aged from 50 to 60 the skin elasticity was estimated by the velocity of skin fold smoothing in the area of the back of the palm. After applying and rubbing in 2 ml on the medication daily for 7 days, the time of skin fold smoothing has decreased on average from 6 seconds (before applying the medication) to 0.9 seconds. Lifting-effect of the study medication was tested in the group of volunteers aged from 35 to 55. The medication was applied daily for 14 days; 2 ml of the medication were rubbed into the area of cheek-bones and nasolabial fold to complete absorption. The results were estimated by the percentage of decrease of the number of wrinkles per 1 sq. cm in the area of cheek-bones and nasolabial fold. The extent of balsam absorption and the changes in skin turgor were also tested. The testing of the lifting-effect has shown the decrease of the number of wrinkles per sq. cm by 39% after 14 days of applying the study medication. The skin profile before and after applying the balsam was tested in a group of 15 volunteers aged from 50 to 60. The medication was applied daily for 14 days; 2 ml of the medication were rubbed into the area of nasolabial fold to complete absorption. The skin profiles tests before and after applying the balsam have shown the decrease of wrinkle depth by 76.8% after 12 days of applying the study medication daily. Skin hydratance (moisture) was studied by reovasography assay (RVGA). Volunteers, 15 women aged from 22 to 50, were tested twice, before applying the balsam in the area of forearms of both hands and after the 7th procedure of applying the balsam. 2ml of the balsam were rubbed into the volunteer's skin at each procedure. After 7 days of daily usage of study medication the test showed the increase of skin moisture by 28.3%. In the same group of the volunteers the skin pH-metering and auto-flora estimation were performed. We have veraciously shown that auto-flora and pH of the skin were within the physiological limits. The research was carried out by: Bashkova, Ph.D.A.D. Afinogenova, Ph.D. Specific activity estimation (skin elasticity, lifting-effect, skin moisture, skin auto-flora and pH) of the specimens of the cosmetic preparation - balsam "Placentol 100%". The expert work on estimation of the results of clinical tests for specific activity of the cosmetic preparation - balsam "Placentol 100%" (Manufacturer: "MSPC Biotechindustry", Ltd. ) - was performed in the Accredited Laboratory Test Center, Vreden Russian Institute of Traumatic Surgery and Orthopedy. The specific activity of the medication was studied in clinical tests with 70 volunteers, women aged from 22 to 60. The study medication was applied for the time period from 7 to 14 days. Skin elasticity test before and after applying of the study medication was performed by thermovision assay. Skin elasticity measurements were based on restoration of microcirculation at the studied skin area; elasticity was also measured visually by the time of skin fold smoothing. Thermovision assay has shown improvement of the blood circulation level by 6%. Lifting-effect and smoothing effect of the study medication was tested by estimation of quantitative and qualitative parameters of wrinkles in the area of cheek-bones and nasolabial fold. Balsam "Placentol 100%" decreases the time of skin fold smoothing by 86.0%, and the depth of wrinkles by 76.8%. Veracious decrease of the number of wrinkles per sq. cm (by 39%) in the tested skin areas after 14 days of applying the study medication daily was also shown. Skin hydratance (moisture) was studied by reovasography assay (RVGA). The increase of skin moisture by 28.3% after 7 days of daily usage of study medication was shown. The performed tests have also shown that the medication is well tolerated by the volunteers; skin sensitizing was not observed. At the same time, auto-flora and pH of the skin were within the physiological limits. Applying balsam "Placentol 100%" for the period from 7 to 14 days promotes restoration of skin resilience and elasticity. Balsam "Placentol 100%" has a marked lifting and moistening effect, which lead to skin rejuvenation. Dr. G.E. Afinogenov, Professor, Head of Laboratory Test Center, Vreden Russian Institute of Traumatic Surgery and Orthopedy. Toxic, hygienic and clinical testing of balsam "Placentol 100%". Conclusion: Balsam "Placentol 100%" is a harmless, non-toxic, does not have irritating or sensitizing effects. Recommended for use. Protocol of microbiological, chemical, analytical and experimental testing of balsams "Placentol" and "Placentol 100%"
Conclusion: Formula analysys has shown that balsams "Placentol" and "Placentol 100%" comply with the rules of Р•Р•РЎ Cosmetics Directive в„– 76/768 and do not contain ingredients prohibited by EEC. Both balsams are safe, do not have irritating or sensitizing effects. Recommended for use. Head of , O.Yu. Timofeeva-Dubovskaya, Ph.D. Highly active Russian placental medication, Balsam "Placentol 100%", manufactured by "MSPC Biotechindustry", has been exported to Japan for more than 10 years; in Japan is used in manufacturing of the elite Japan cosmetics "Snova", as well as Japanese placenta-masks, food additives and pharmaceutical preparations, including immunomodulators and cancer-protectors. Placental cosmetic compositions, as well as the newest placental anti-edematous, dermatological, cancer-protective and other programs are now developed in on the basis of balsam "Placentol 100%". Balsam "Placentol 100%" has passed all necessary clinical tests in , and it is allowed for use by the Japanese Ministry of Health. A large amount of Japanese medical publications and medical monographs describe scientific studies and effectiveness of unique Russian placental medication, balsam "Placentol 100%". Japanese doctors widely use balsam "Placentol 100%" in their medical practice; they call it "Russian Beauty-placenta" and regard it as "the best placental medication in the world" ("Jukhbika" magazine, Tokio, September 2003). Japanese scientists consider the preparations "Placentol" by Professor's Yu.I. Lubimov", as well as the methods of their application, to be the biotechnologies of 21st century. They mark the beginning of the new era in modern practical medicine, parapharmaceutics and cosmetology.